Has anyone seen my study animals? Keeping track of your study animals can be difficult in a ~110,000 hectare laboratory. 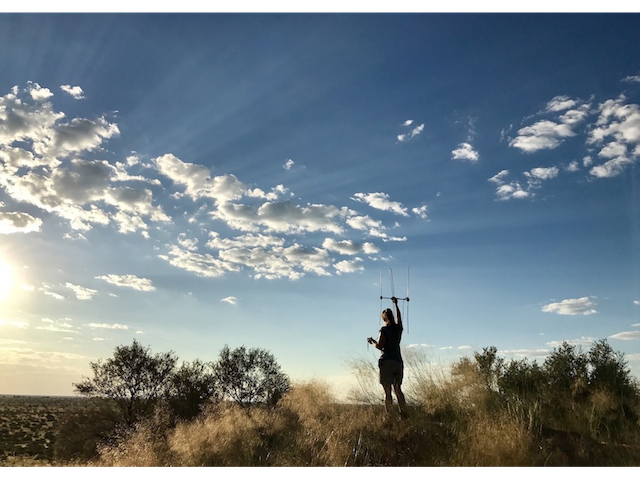 The Wildlife Conservation Physiology team is currently undertaking research in the Kalahari, Karoo and Kruger National Park of South Africa. Sometimes your research subjects keep an eye on you as much as you do on them. 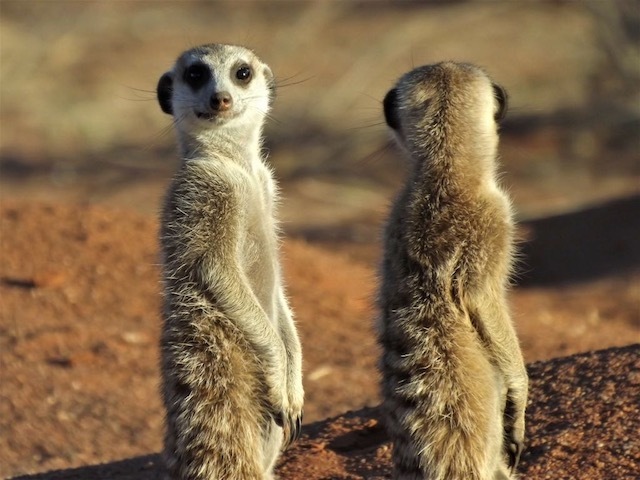 In a new avenue of research, the Wildlife Conservation Physiology team is investigating how meerkats respond to climate change. Pangolins are the most poached mammal in the world. 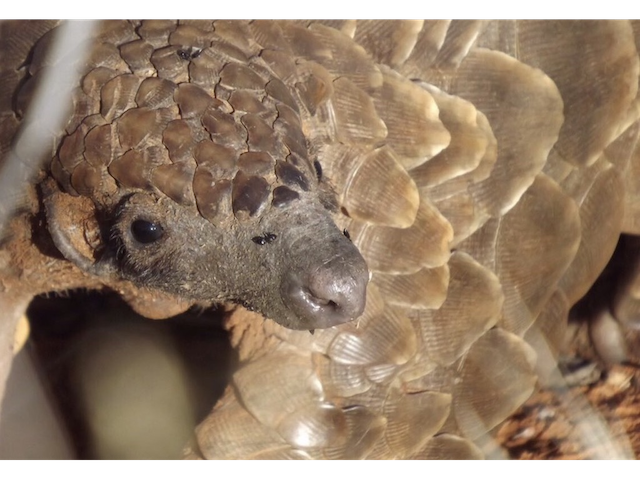 Now ground pangolins face the additional threat of climate change. The Wildlife Conservation Physiology team is investigating how these elusive creatures will respond. News feature on our recent paper using biologging to reveal new insights on the physiology and behaviour of cheetahs. 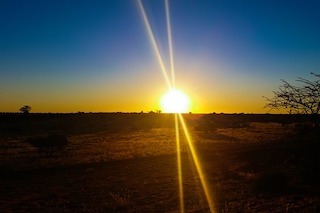 NRF intern, Valery Phakoago, describes her first experience of field research in the Kalahari, at Tswalu Kalahari Reserve. 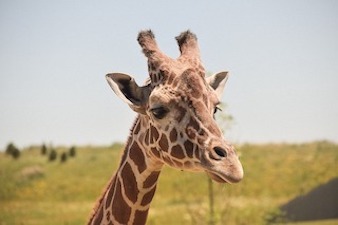 It’s cool to be a giraffe! 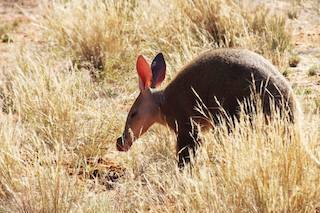 What are the consequences of climate change for aardvarks? 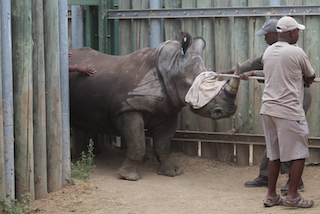 Opioid drugs, which are used for the immobilization of rhinos, result in severe side-effects for the animals. 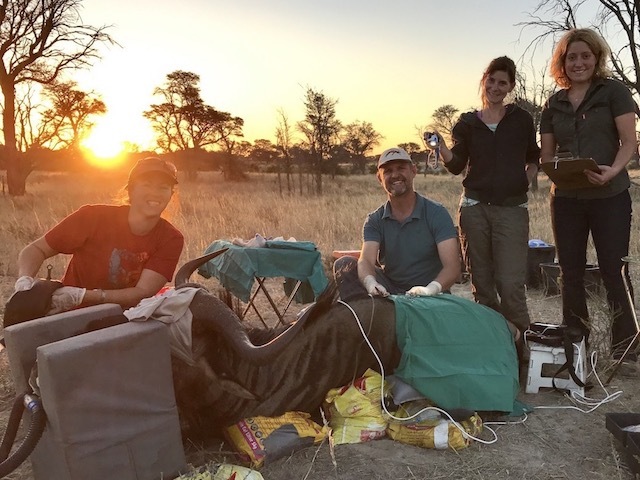 Leith Meyer, our team member from the University of Pretoria, describes some of the work we are doing to understand and improve the physiology of immobilized rhinos. 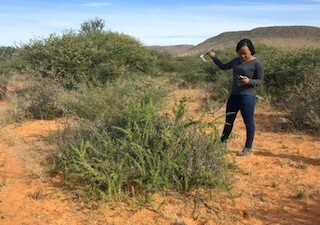 Our global team, with its home at the University of the Witwatersrand in South Africa, uses innovative technology to investigate the physiology of free-living mammals facing stressors resulting from environmental change and conservation management interventions. Andrea is director of the research group and a Professor in the School of Physiology at the University of the Witwatersrand, and an Extraordinary Lecturer in the Department of Paraclinical Sciences at the University of Pretoria. 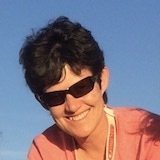 Robyn is a Researcher in the School of Animal, Plant and Environmental Sciences at the University of the Witwatersrand. 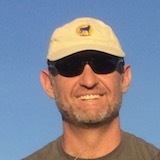 Leith is an Associate Professor in the Department of Paraclinical Sciences at the University of Pretoria, South Africa, and an Honorary Senior Research Fellow in the School of Physiology at the University of the Witwatersrand. 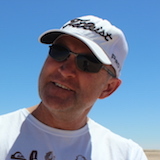 Shane is a Professor of Physiology and Head of the School of Human Sciences at the University of Western Australia, Australia, and an Honorary Professorial Research Fellow in the School of Physiology at the University of the Witwatersrand. 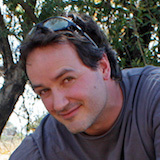 Richard is an Assistant Professor in the Department of Anthropology at the University of Wisconsin-Madison, USA, and an Honorary Senior Research Fellow in the School of Physiology at the University of the Witwatersrand. 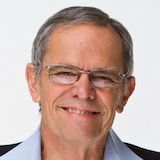 Duncan is Emeritus Professor and Honorary Professorial Research Fellow in the School of Physiology at the University of the Witwatersrand, and an Adjunct Professor in the School of Human Sciences at the University of Western Australia. 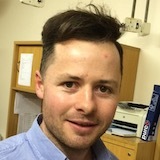 Edward (Ned) is a lecturer in the Department of Anatomy and Physiology in the Faculty of Veterinary Science at the University of Pretoria, South Africa, and an Honorary Research Fellow in the School of Physiology at the University of the Witwatersrand. 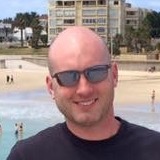 Benjamin is a Research Assistant at the Biometry and Evolutionary Biology Laboratory at the University of Lyon, in France, and an Honorary Research Fellow in the School of Physiology at the University of the Witwatersrand. Improving our understanding of how free-living mammals function for the sustainable conservation and management of arid-zone mammals. Site developed by painblogR using blogdown and Hugo .